The government's own man is convinced that the situation is severe. "I'm sure it's higher than probably it has ever been," said Parry Bellot, a productivity consultant to the Roosevelt Skerrit administration, of the country's unemployment rate. The administration's own research has revealed that it's the most vexing issue facing Dominicans.
" It was determined that Dominicans are at this time most preoccupied with the issue of unemployment," the Barbados-based polling company, CADRES, stated in a press release issued last March following a poll conducted in February 2013 for the ruling Dominica Labour Party(DLP) to assess its mid-term performance. "Dominicans are generally … least impressed with the government's performance in the area of employment". Yet, despite the glaring evidence, the Dominican electorate is being deprived of a sensible debate on this issue, even as the country prepares for a general election. "We didn't elect a government to debate the opposition, we elect a government to perform," Bellot told The Sun in support of his argument against any debate among the political leaders in the lead up to the poll. 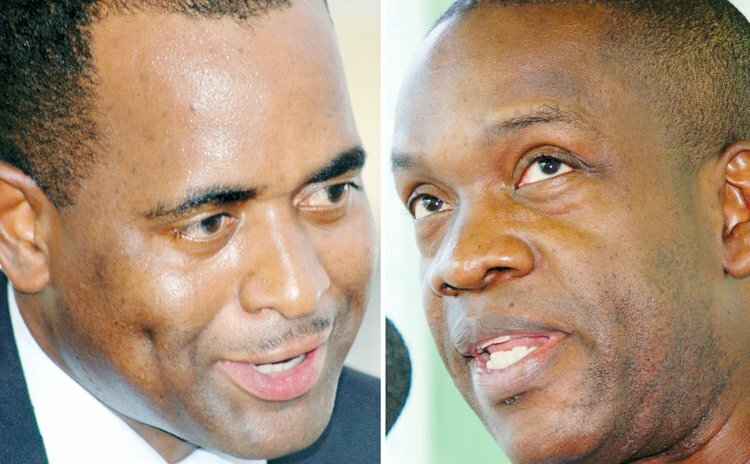 "So as far as I am concerned it's entirely up to Mr. Skerrit to do it, but I don't think he will. The opposition has a leader who is a good speaker. I wouldn't encourage the prime minister to do it." The productivity consultant explained that, in any event, both sides are getting their messages out via the media - although he conceded that "there is too much screaming (on the radio) and there is no intelligent dialogue" – and that is how it ought to be. But Swanston Carbon saw it differently, telling The Sun that instead of "wasting time talking about Thompson Fontaine," – a reference to the debate over whether the United Workers Party (UWP) candidate for Grand Fond misappropriated funds belonging to the Dominica Academy of Arts & Sciences – the administration should spend time discussing how it plans to reduce unemployment. "It (is) a good opportunity for the government to be debating the issues. Unemployment, the various sectors; tell us where we were when you took the country, the rate of unemployment and what it is today. What was poverty then and what it is today… This is the kind of debate that the government ought to conduct (but) this is the kind of issue they don't want to be part of," Carbon argued. However, Parry Bellot contended that not only was the administration doing what Carbon suggested, it was also acting to create employment. He made reference to the National Employment Programme, which provides on-the-job training and mentorship to the island's youth. He also suggested that the administration's policy of higher education would help open doors. "The key thing is it's a lot better than it could have been," Bellot said in reference to the unemployment situation. "We have a new educated sector of young educated people, thanks to the state college. But if they are intelligent enough and education is supposed to facilitate that intelligence, things that can be done. For example, generating your own employment." Several calls to the minister responsible for employment, Colin McIntyre, seeking comment on the effectiveness of the NEP and the unemployment situation, went unanswered. But Carbon saw the programme as palliative medicine, designed to relieve some of the pain without dealing with the cause of the condition. "Over the years all the government does is take. People don't have incentive to expand; people don't have incentives to start new business; the government is giving a little money under the entrepreneurial programme but that little money is not enough to begin business," he contended. Ironically, the government's policy of having one university graduate in every home is proving to be a cause of frustration, as a growing number of them are having difficulty securing employment. "You have all these highly educated people coming home and they are unemployed. So a lot of them are leaving and looking for work overseas," one recent law school graduate told The Sun. "We need a debate on these issues, people should have all the information on these issues when we decide who to vote for." Still, there appears to be no appetite on the government's part for such a debate, at least, not a head to head with the opposition. Maybe it should be referred to differently, suggested Athie Martin, the former minister of agriculture in the DLP administration of late Prime Minister, Rosie Douglas. "The country needs the dialogue. Debate sounds too confrontational. The country needs an opportunity to engage the issues. They need to see the people who want to represent them discuss these issues," said Martin, now a vocal critic of the DLP administration. "I think a growing segment of the population definitely want to understand what the hell is going on."